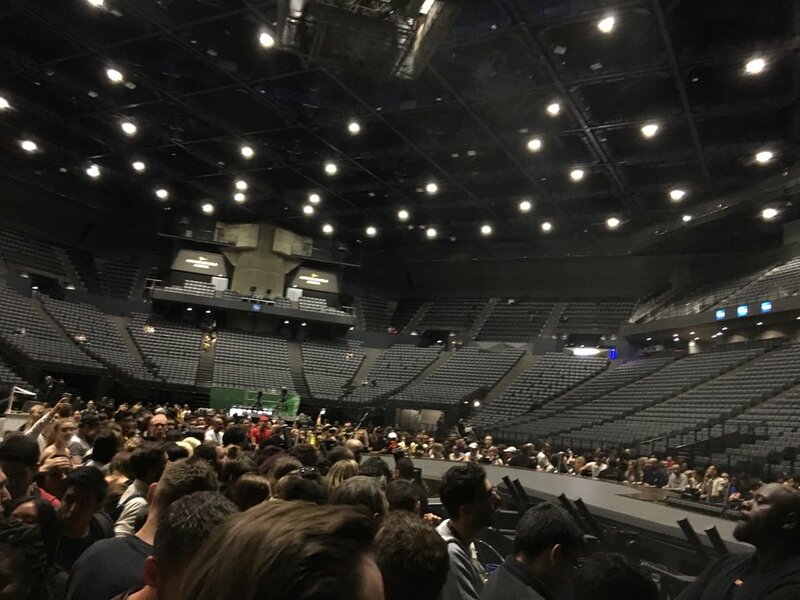 El Dorado World Tour is coming to Paris! First double show on this tour so far. I'm going on the 14th! I'll be by myself so I'm looking forward to meeting people ! I was wondering at what time were you guys thinking of queuing? And also, what seems to be the best spot to stand? I am sorry if these questions have already been asked, I avoided the other thread because I didn't want to read any spoilers! Edited by DL1, 11 June 2018 - 11:19 PM. Ill be at both shows with early entry! Cant wait. Also, fun fact: the dates of these concerts are the exact same two dates that she filmed Live From Paris on in the same venue in 2011! Edited by rpvee, 11 June 2018 - 11:26 PM. Oh lawd, it's Paris so if you don't have VIP tickets get there super early! We did that too, it was beyond exhausting but you have better chances to get a great spot. I love the small stage cause she's there the whole time and you can appreciate the production and the full show from there. Rumor is she will have a special guest, my guess Black M to sing Comme Moi. Shell probably replace Nada for that song. Thanks a lot! Small stage it is then! I'll have the whole day off so I think I can be there early. It won't be my first Shakira concert but the other times I couldn't queue all day. This time I can so might as well get the full experience! Hey, thank you SO MUCH for the advice!!!! I queued early in the morning and managed to get 2nd row at the the small stage so I was able to see everything!! Yay, i'm happy for you! Small stage is amazing! Well yes there were indeed people in a tent at the very beginning of the line lol. Talk about commitment! I am so so glad that she didn't sing Comme Moi! Nada was one of the highlight for me. Again, the energy in these shows was just beyond anything ive experienced in America. The second show was super easy/chill (only 26 EE) and got the best spots in the house (which was amazing since it was my last Europe show) and a great way to end the experience. I can't wait for my shows in America, I really hope its just as amazing! I also am praying she does another leg, because I want to attend more Europe shows!